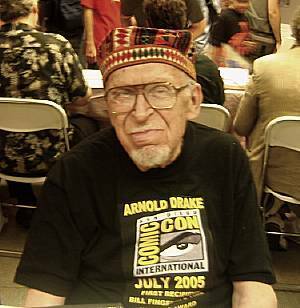 Since a new issue of Doom Patrol came out last week, and Reggie (@reggiereggie) couldn't get his act together for a new episode, he and Chris (@AceComics) decided to re-release their three-part biography of prolific author and co-creator of the Doom Patrol, Arnold Drake! They'll go through his entire life: the innovation, the controversy, and ultimately his recognition as one of the most important comics creators of his generation. If you missed it, here's your chance to catch up! And if you've already listened to these segments, check 'em out all stitched together in single episode format and relive those wonderful memories from late last May!